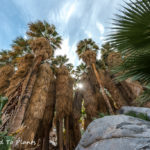 This past week I gathered the wife, kids and dogs and loaded up our trailer for a camping trip to the Kern River. The long-range forecast when we planned the trip months prior didn’t show that it would be over 100 degrees Fahrenheit each day we were there. Let’s just say it was a very hot week, but the temperature of the river water couldn’t have been better. While most our time centered around swimming and rafting, I did manage to get up early one morning and get a good mountain bike ride in. 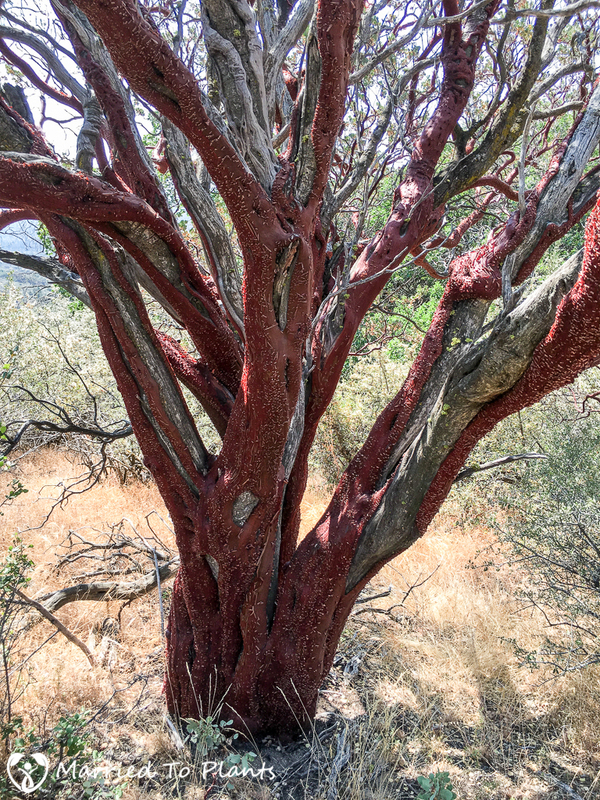 It was here that I ran across one of the most impressive Manzanitas I have ever seen. 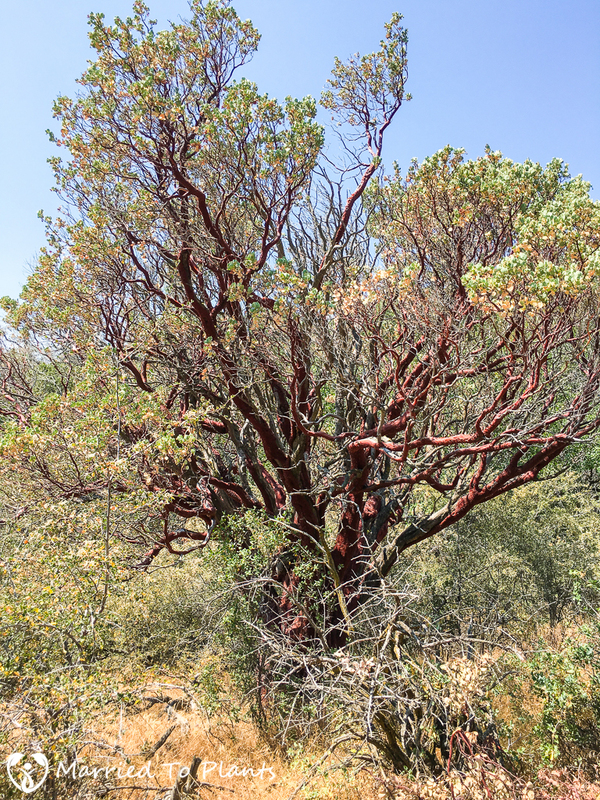 It was a Big-berry Manzanita that had to be over 100 years old and is the subject of this week’s post. The bike trail starts off at the top of the Alta Sierra Ski Resort parking lot. While you can ride up the mountain to get a great round-trip ride in, we had no intention of climbing in that heat. So we shuttled to the top of the mountain to start our mostly downhill ride. At just about 4 miles into the ride and at 5,400 feet above sea level, we ran into a popular picture stop. Armed with only my dirty iPhone, I snapped these photos of the Manzanita tunnels. 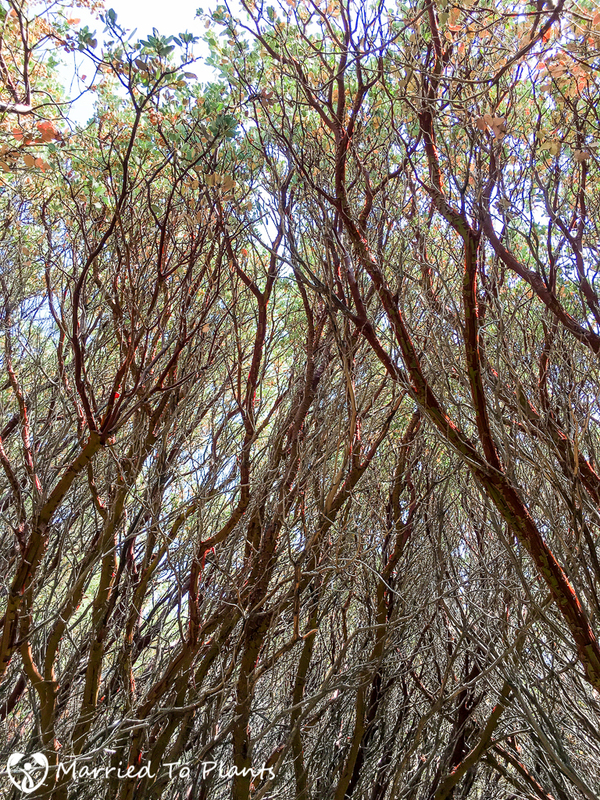 There are not a lot of places in the world where you can find Manzanitas growing tall enough to create a canopy. But these were no ordinary Manzanitas. 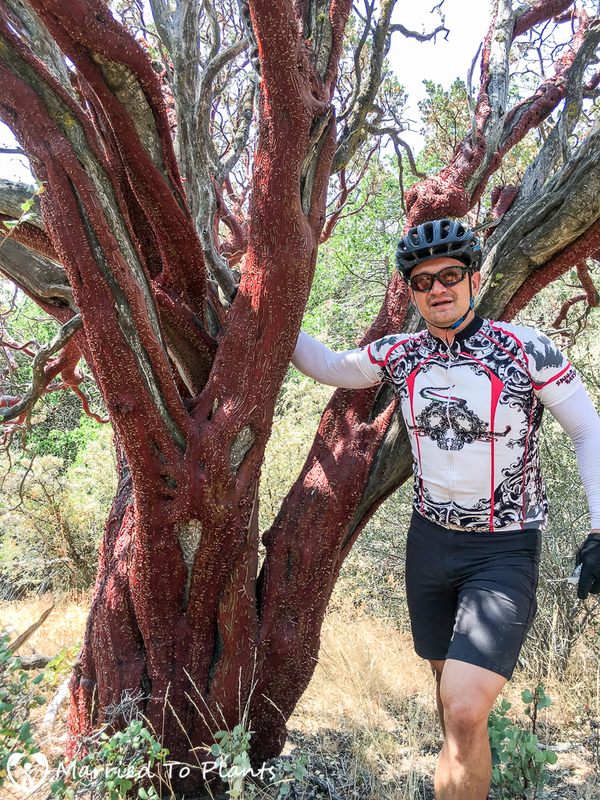 These were Big-berry Manzanita (Arctostaphylos glauca) – the tallest growing Manzanita in the world. 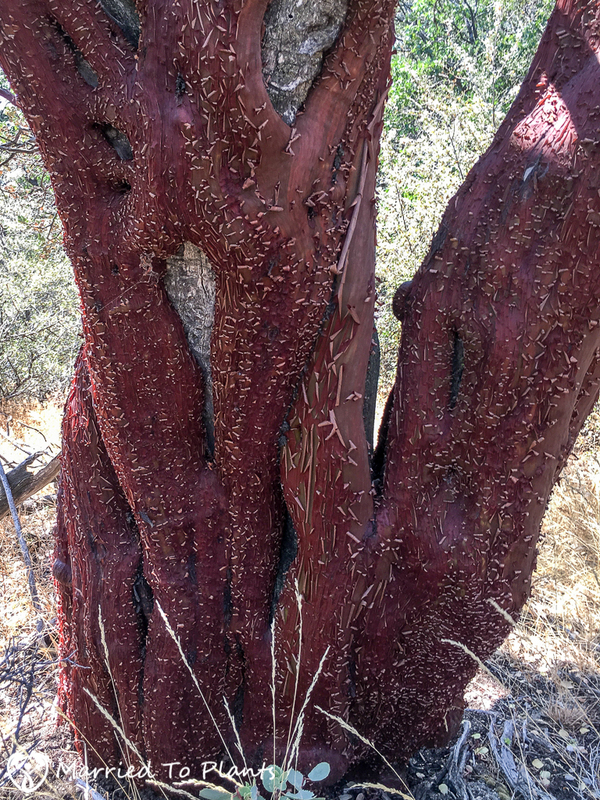 Only a few others of the over 60 different Manzanita species growing in California grow large enough to walk under them. Like most Manzanita, the Big-berry Manzanita is an allelopathic plant. Meaning it produces biochemicals that help prevent the germination and growth of competing plants. 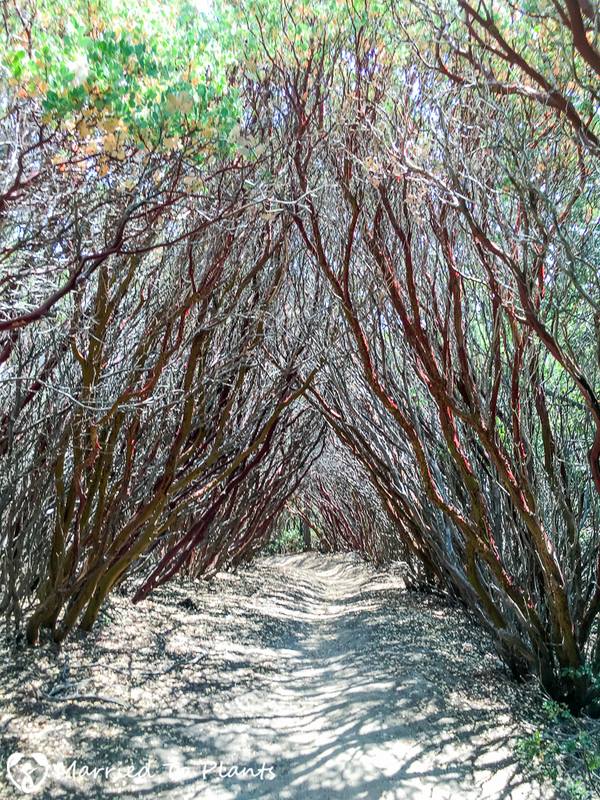 Monodominance was clearly evident around the Big-berry Manzanita tunnel. 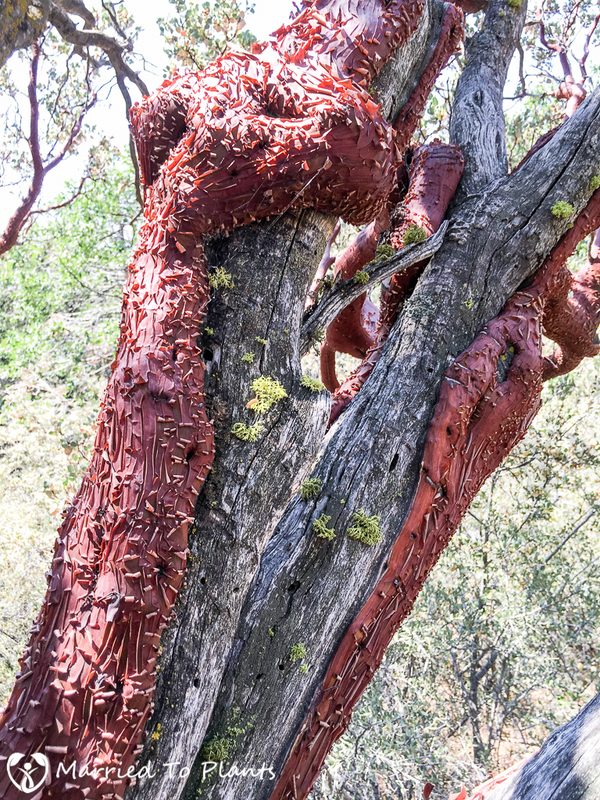 While the leathery leaves and edible fruits of the Manzanita are appealing to many people, it is the smooth, red bark and gnarled, twisted branches that are the real show stopper. 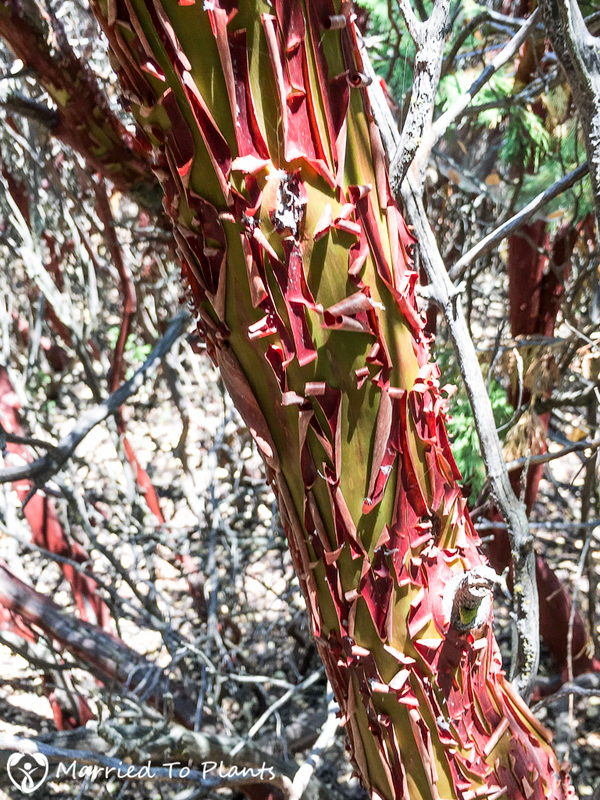 Younger Big-berry Manzanita were greenish-yellow under the red peeling bark. 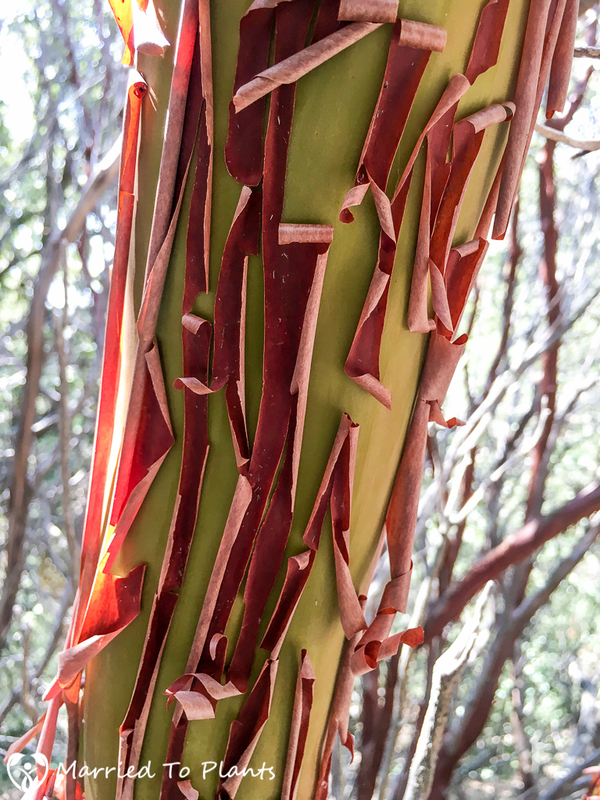 The red coloration of the bark comes mostly from tannins that are stored in the cells of the Manzanita’s exterior bark. 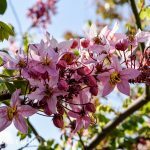 Because tannins can be toxic to many organisms, they help deter things like insects and birds from feeding on the tree. The shedding of the bark also helps prevent herbivory and can also prevent things from growing on it. 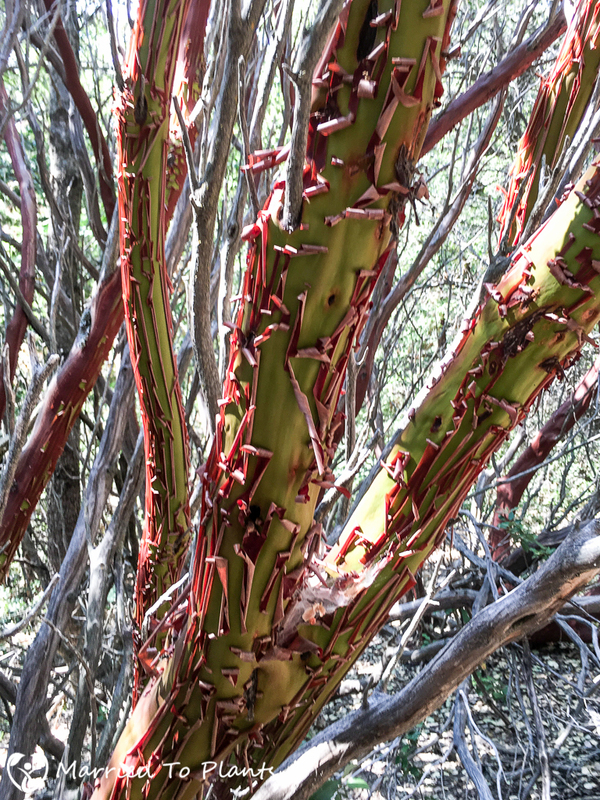 The Manzanita has evolved into a very hardy plant. Not far from the Manzanita tunnel we ran into the regal Big-berry Manzanita that I hinted about in the first paragraph of this post. This Big-berry Manzanita was over 20 feet tall! The base was massive for a Manzanita. The rich, red coloring of the bark was just gorgeous. Even my brother-in-law who isn’t a big plant person couldn’t help but marvel at this tree. With me for scale you get a much better grasp of how fat this guy was and just how old it had to be. The tree was so old that the dead parts of it were being wrapped with the new growth. This unique growth gave the tree the look of something JRR Tolkien would have described in his Lord of the Rings trilogy. I have seen taller Big-berry Manzanita in cultivation. 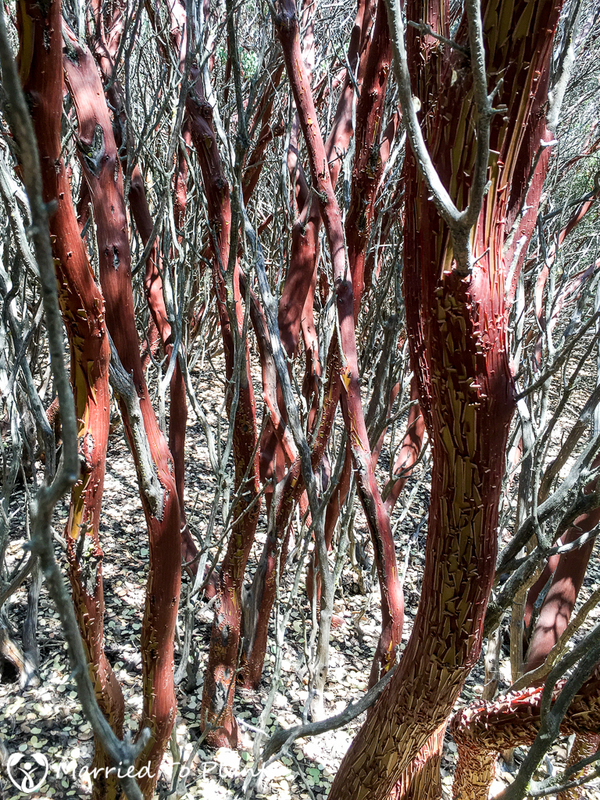 Thanks to the additional water and fertilizer they receive, Manzanita grow much faster in cultivation than in the wild. That makes this tree all the more impressive to me. Sadly, I can’t seem to get Manzanitas to grow in my yard. I think I kill them with too much love. 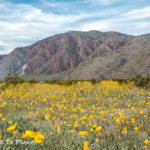 So for me, the wild is where I get to appreciate them the most. And this mountain bike trip offered up a real winner. 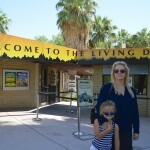 Great article Len, looks like an interesting place to visit some day. Yes indeed. I actually did have that and in fact my iMac’s spellcheck doesn’t think allelopathic is a real word and corrects it to allopathic. Just hit “Learn Spelling” to prevent in future. But am I really going to be using that word much in the future? 🙂 Thanks for the heads up. Hybrids like Dr. Hurd are especially good for growing in garden-settings. They tolerate summer water much better than species arctostaphylos.